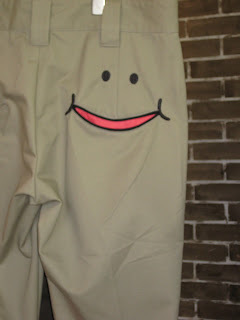 I found these trousers yesterday and had to share them. 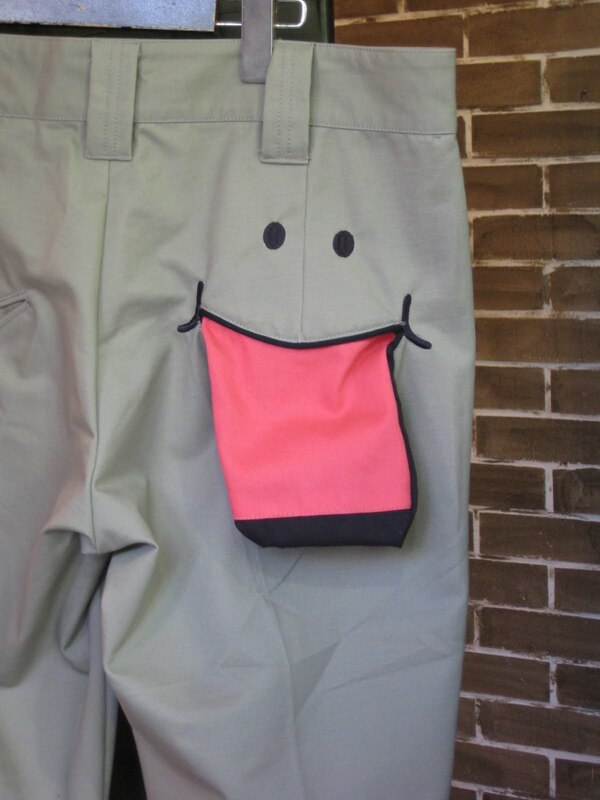 The idea is great - the back pocket, when lined in a fab pink colour, becomes a smiling mouth. 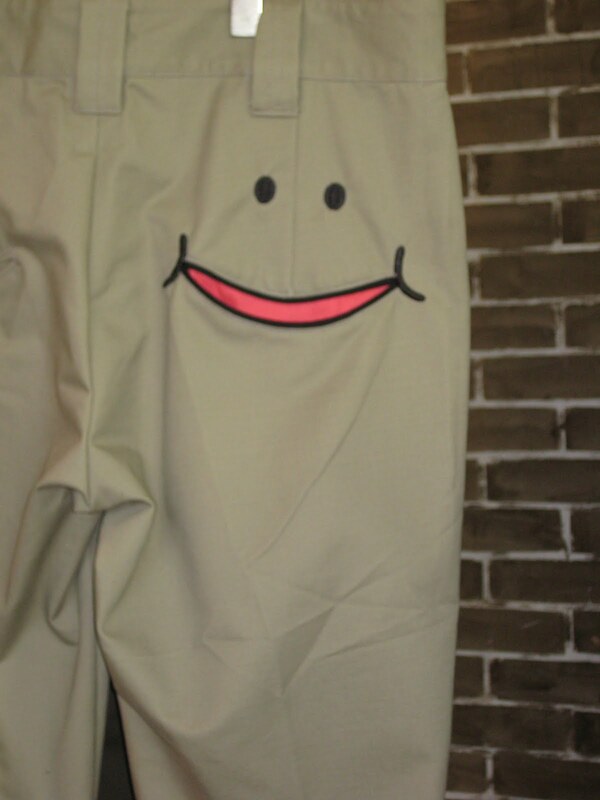 Then turn the pocket inside out and it becomes quite rude!